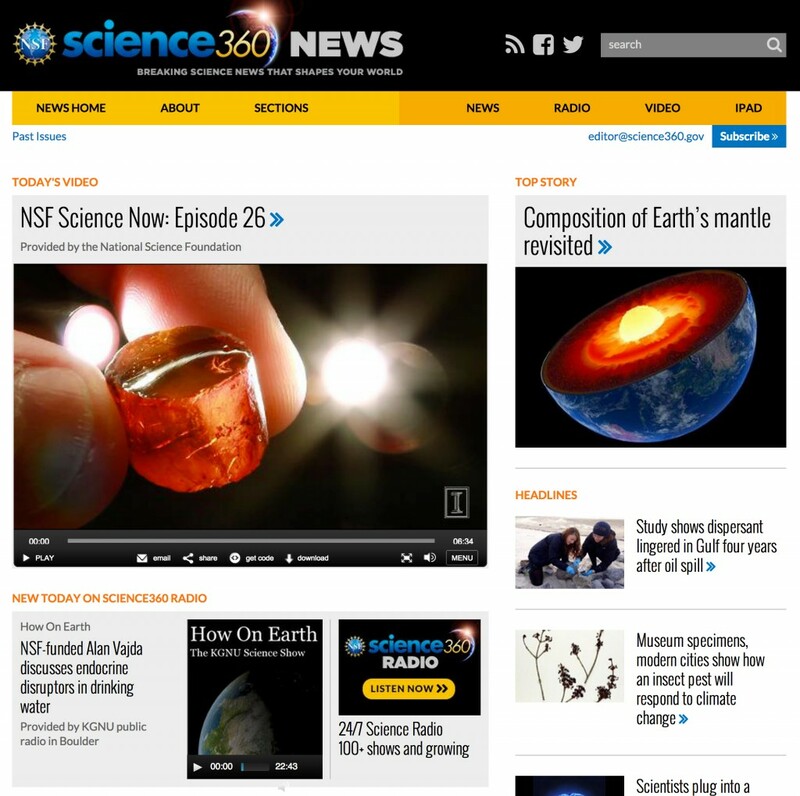 NSF Science360 | Objective Consulting, Inc.
OCI provides technology strategy and custom content management development for this site that delivers breaking science news and multimedia to the media, educators and the public. This site is optimized for mobile devices, making it easy to search and browse thousands of news stories and multimedia assets. Content is automagically delivered to social media and related sites. 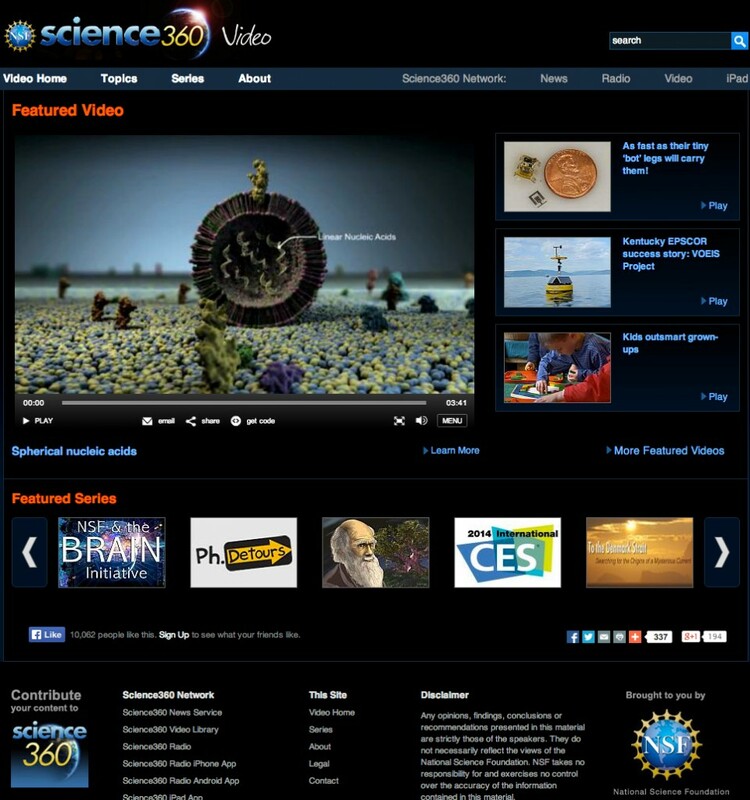 The site was designed by our strategic multimedia and design partner S2N Media.